Coming from an Engineering background, I believe that by merging everyday human social behavior and technological practices, it is possible to utilize the greater potential of modern digital technology for public good. Recently, I was working as an Research Assistant in Singapore in the field of Human computer interaction. It gave me the opportunity to engage in number of scientific projects and HCI based research. 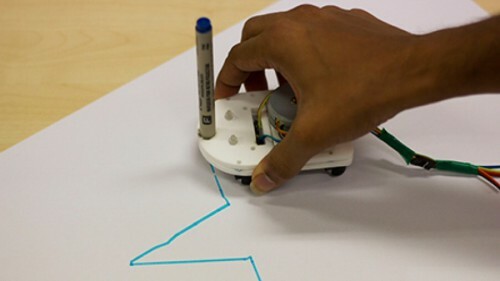 An assistive interface to support the drawing process on physical surfaces. In this project I designed a hardware device to guide the hand movement of the artist according to the digital signal from a computer or a mobile device. 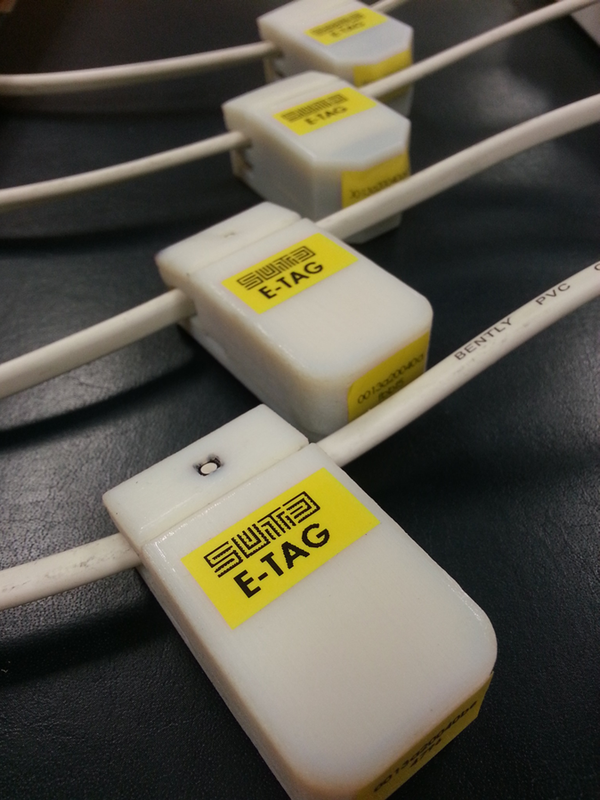 a non-invasive wireless electric current measuring device, based on the induced residual electromagnetic field. The wireless data transmission mechanism for this device was designed by me using the ZigBee protocol. Through this class, I hope to study the prior work in the field of citizen science and gain a systematic knowledge about designing and executing citizen based projects. And some hands on experiences too. 🙂 I wish it will enrich my ambition to create wide- reaching applications that will create a culture of intelligent involvement in public issues through technology. 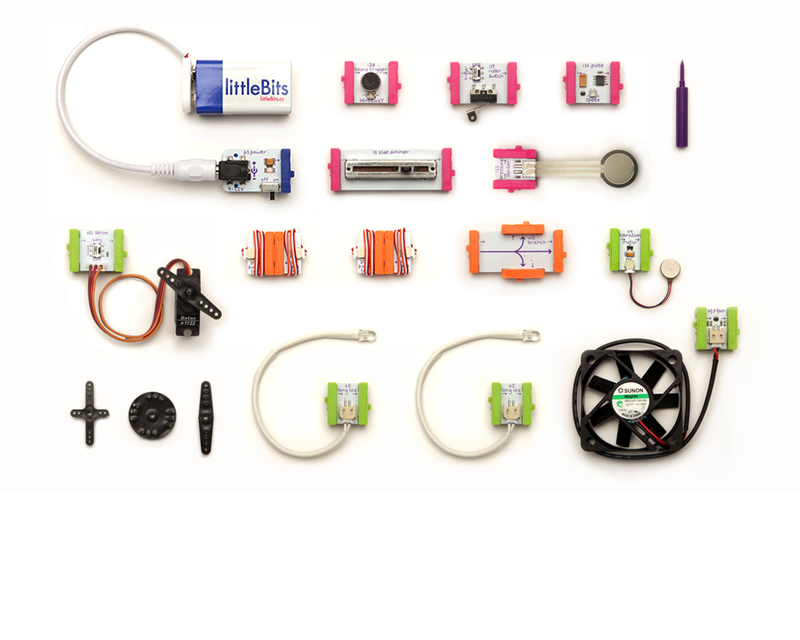 The project “lillte-bits”, a DIY electronics platform focusing kids is one of the most interesting projects for me. The way this project transformed the complex electronic hardwares to a nice looking, playful and functional bits and pieces is quite exceptional. Hi everybody, I’m Jennifer. I am a second year PhD student in Media Arts and Sciences. My main interests include computer programming, art history, and emerging technology. Recently, I have been working with a way to create 3d objects based on panoramas as a means to collect and store visual information in a physical form. I have also been developing a new way of displaying family trees, which takes advantage of the ubiquitous and user-friendly aspects of modern day web browsers. In this class, I hope to work with physical materials and creating objects that can react to the environment in unique ways (such as change color or structure in different atmospheric conditions), that will serve as a means entertain and inform people about the surrounding environment. One DIY science project that I found not only interesting but also extremely useful is the OakMapper project in California. (http://www.oakmapper.org/). Oak Mapper is a means for people all over California to report cases of sudden oak death (which is caused by Phytophthora ramorum, an invasive pathogen first discovered in 1995). By tracking the cases of this disease, it could help to contain it and keep the oak population safe. This work is vital in keeping the tree from the brink of extinction, which is the current state of the American chestnut tree after the scourge of the chestnut blight destroyed what had once been a staple of Appalachian forests in the early 20th century. 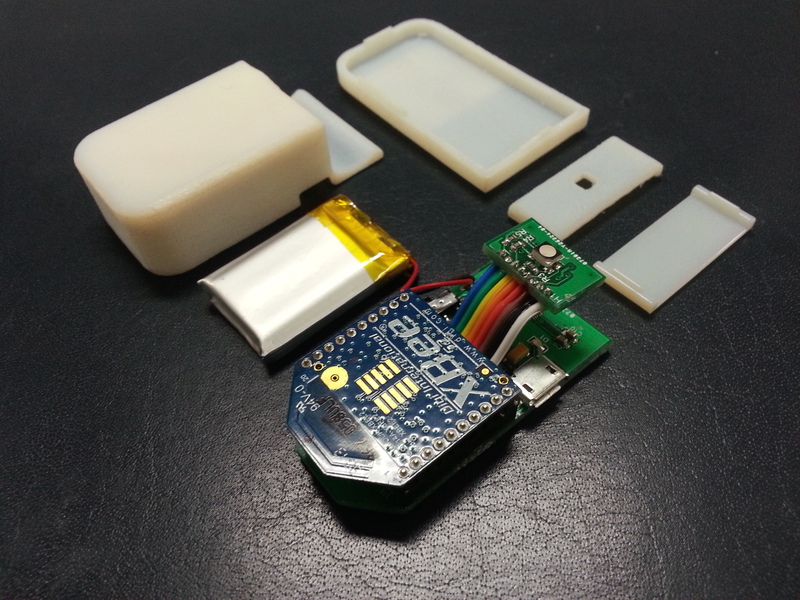 One interesting citizen-science project is PublicLab.org‘s various sensor kits. One that I might build this semester is the DustDuino, a $15 dust sensor. 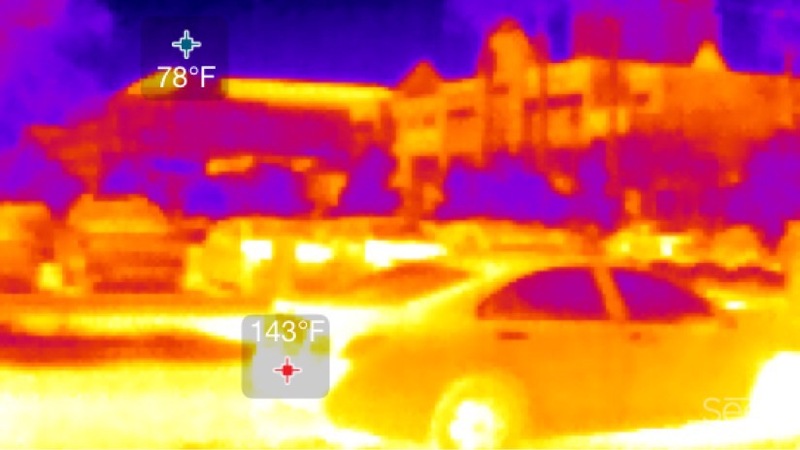 Also, here’s a picture taken today with the Seek Thermal camera on my iPad. Yes the car is 143 Fahrenheit. Sign up for wordpress and email me (kstace@asu.edu) your username to be added to the blog. why you are taking this class and what do you hope to get out of it?